You might already have it. You can certainly develop this level of star caliber style for yourself and profit from it in terms or relationships, opportunities and income. When you have fame and good brand equity however, you can attract a high-dollar deal. During Wimbledon, we learned that Roger Federer closed a huge deal with Uniqlo. 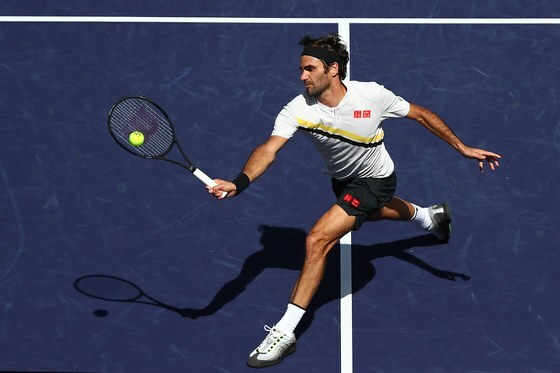 Sports Business Journal reporter Daniel Kaplan (as quoted by Tennis World) says that the deal is for Federer to war Uniqlo for ten years at $10 million per year. It was widely misreported that the deal was worth $300 million. The dollar value is of course about the large audience that follows and loves him. It’s about the amount of eyes on him and his fame. The important thing for us note (as much less famous people & much worse tennis players I’m assuming) though is how Federer’s personal brand is read. He stands for class timelessness, longevity and elegance. Our personal presence is one of our greatest assets. It moves with us wherever we go. It speaks with us and for us so we work to make sure it’s saying what we want it to say. Your first impressions are a shortcut to gaining favour with your audience of one or your audience of millions. How are you perceived when you meet someone in person? When someone sees one of your online profiles or websites? The first opinion is strongly held so my advice is always to be authentic and be strategic. At the most important considerations here are your happiness, your self-confidence and your ability to get what you want in life. Strong first impressions accelerate your ability to thrive in business and in life in general. You can develop personal presence that directly enhances your life. I can’t promise you’ll get paid for it but it’s possible to create $100 million style! Get started and check out this cheat sheet to keep up and strengthen your effective first impressions. This entry was posted in Blog and tagged be stylish, communication, dress well, mens fashion, mens style, personal brand, roger federer, sponsorship, style, tennis, tennis world, Uniqlo, wimbledon. Bookmark the permalink.